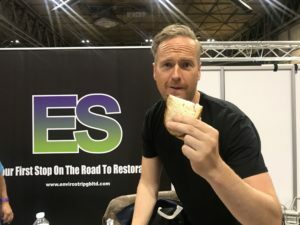 Car SOS presenter Tim Shaw. Tim spent 3 days with us on our stand at this years NEC Classic Car Show explaining why he recommends our process. Due to unforeseen circumstances we have encountered severe disruption to our phone service. Please call 07814 481653 or 07817 826186 until further notice.